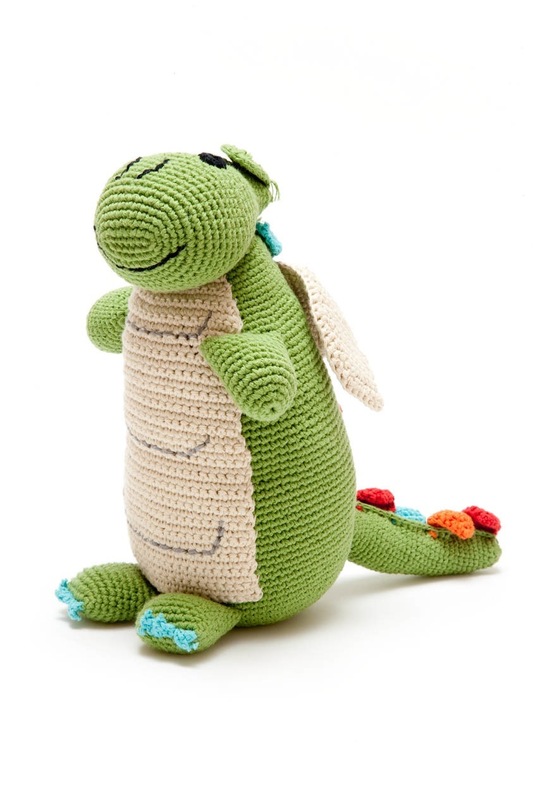 Handmade cotton crochet dragon, available in Mulberry or Green. Approx 30cm tall. 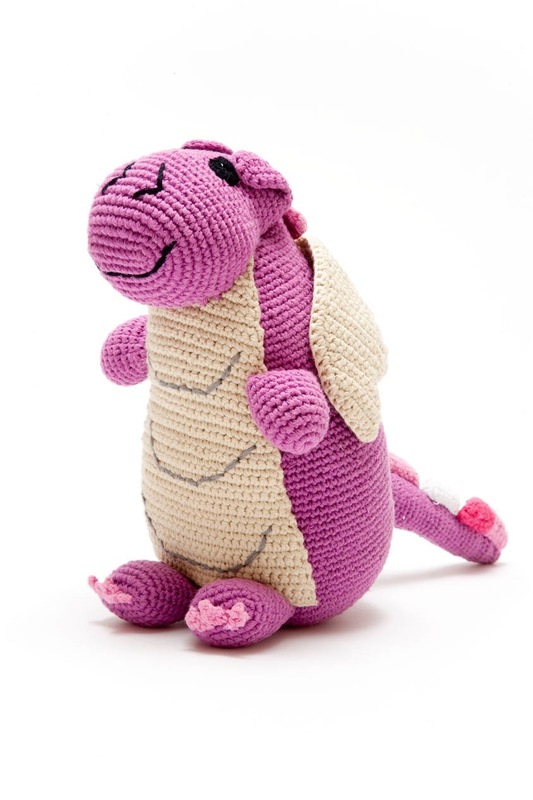 with varying pink and white spikes and a Green coloured dragon with blue and red spikes ridged on his back. 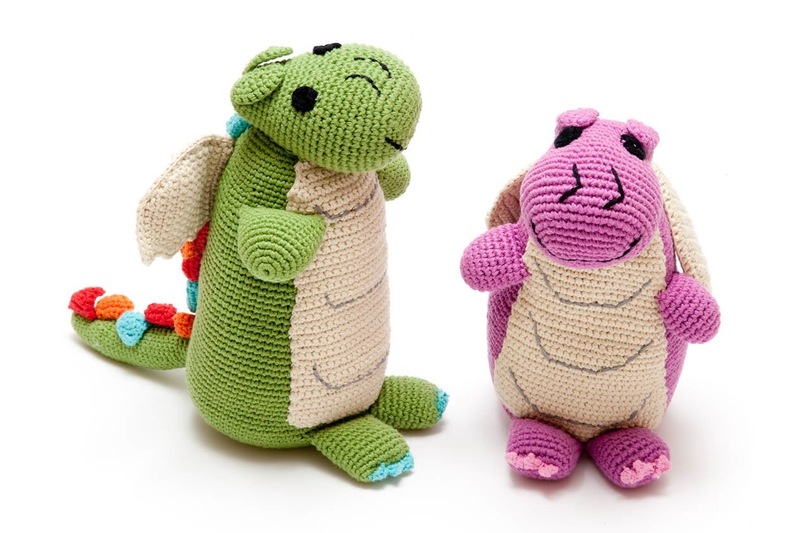 All toys are handmade so may vary slightly from images.